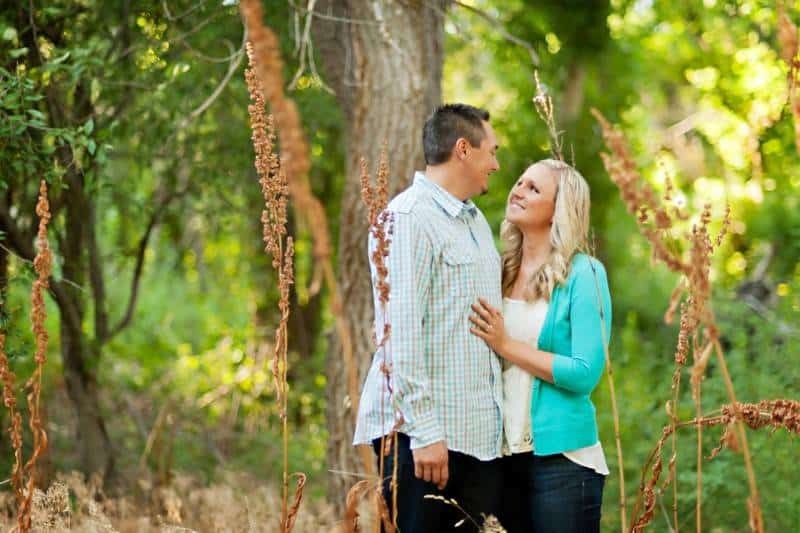 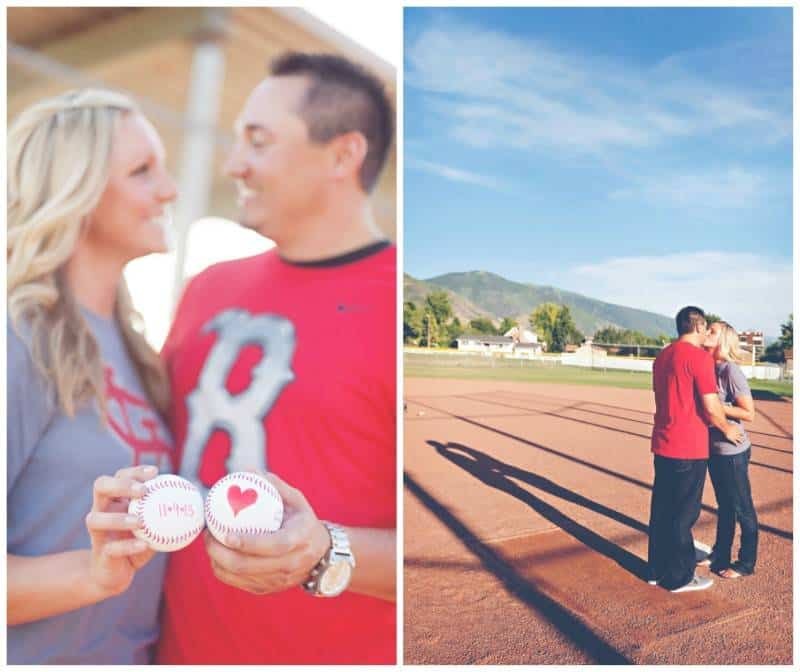 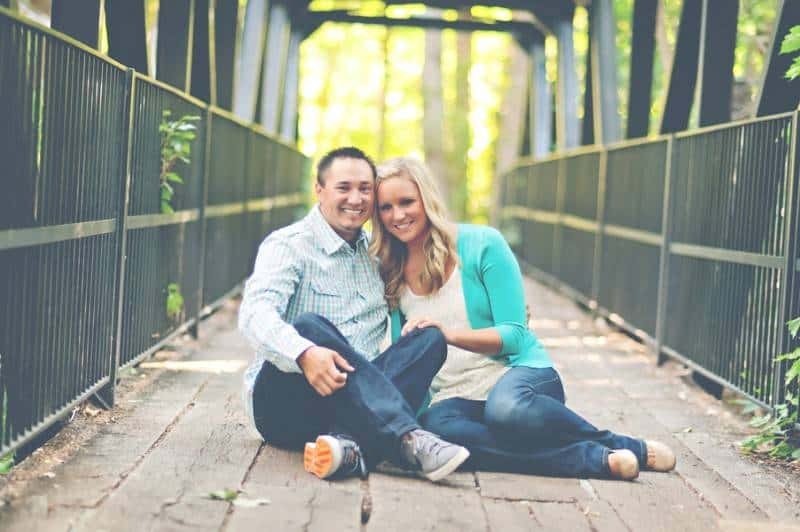 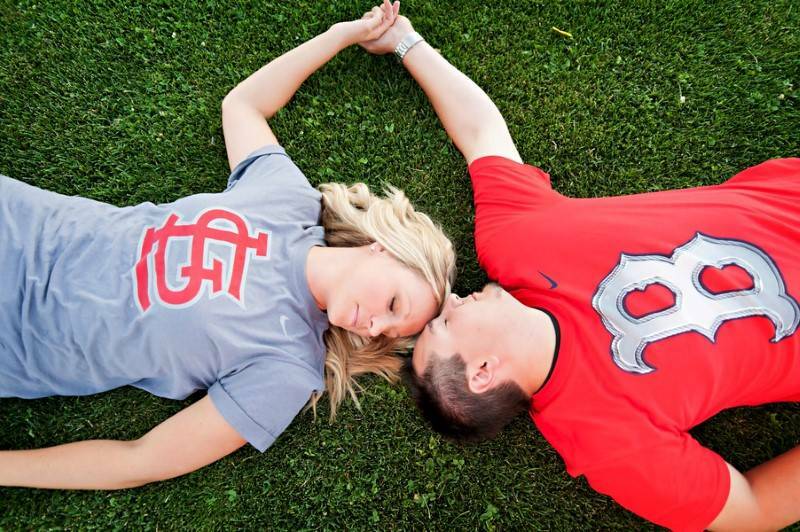 This baseball lovin’ duo hit home run when they found love & happiness in each other’s arms. 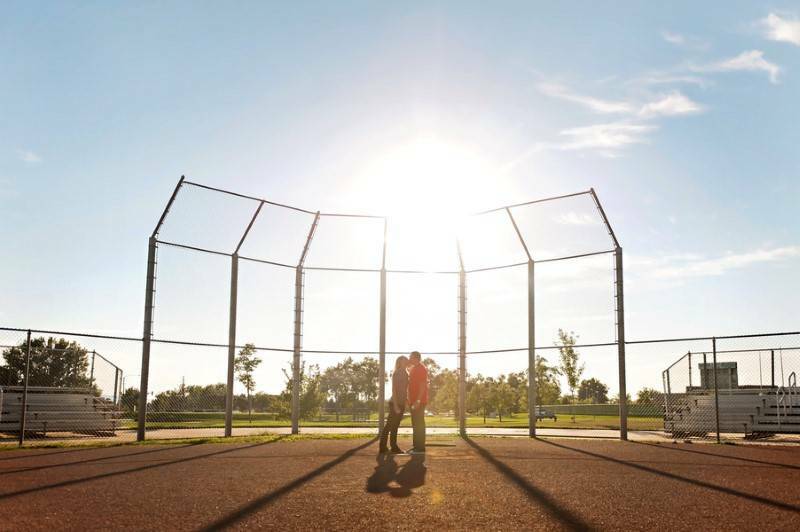 Derek has played baseball all his life so it was only fitting that photographer Amanda Abel planned their engagement session to be on a baseball field. 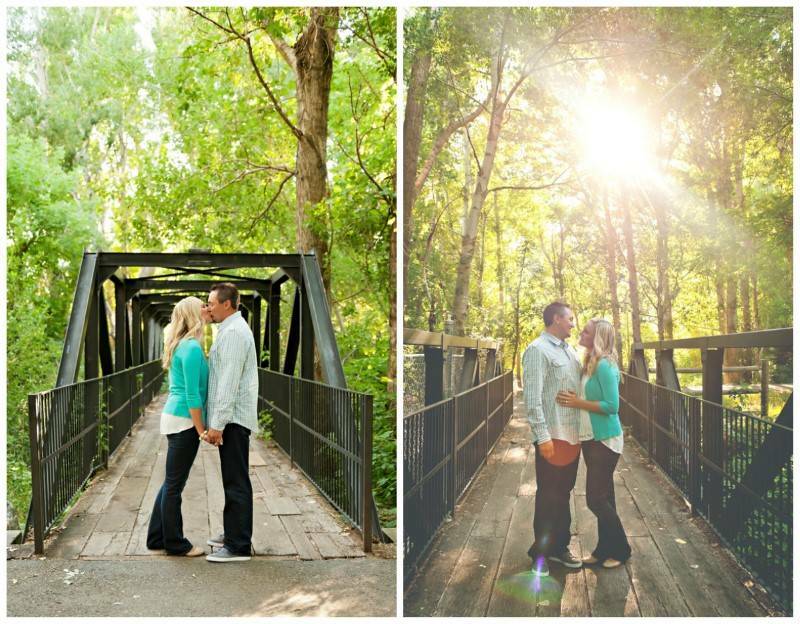 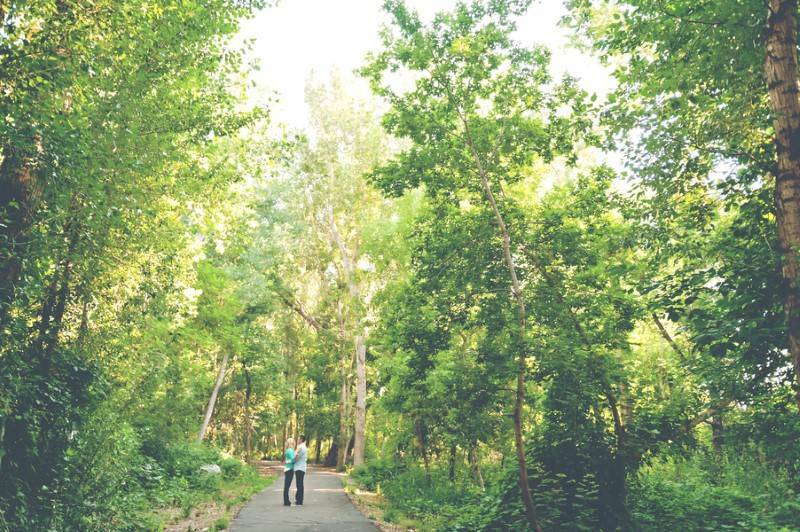 The other half of their engagement shoot was done on a bridge which was still the perfect location for such a casual & fun outdoor shoot. 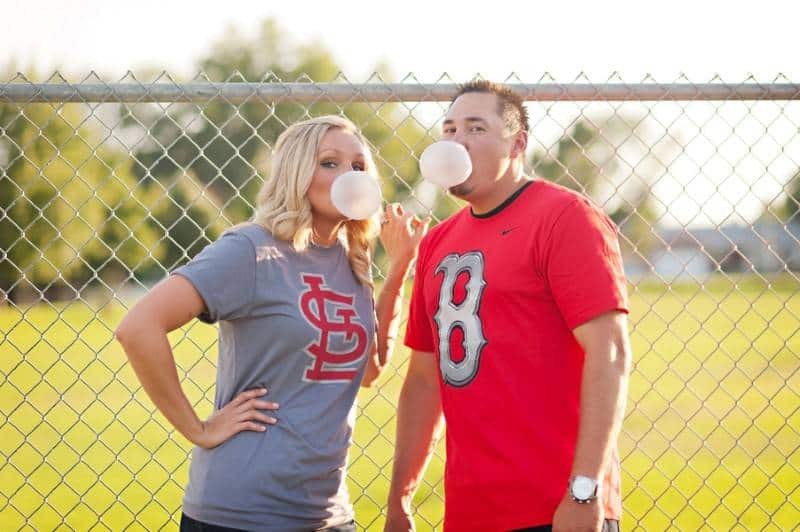 The couple wore shirts of their favorite teams, they brought baseballs that had their wedding date written on it & baseball bats as props. 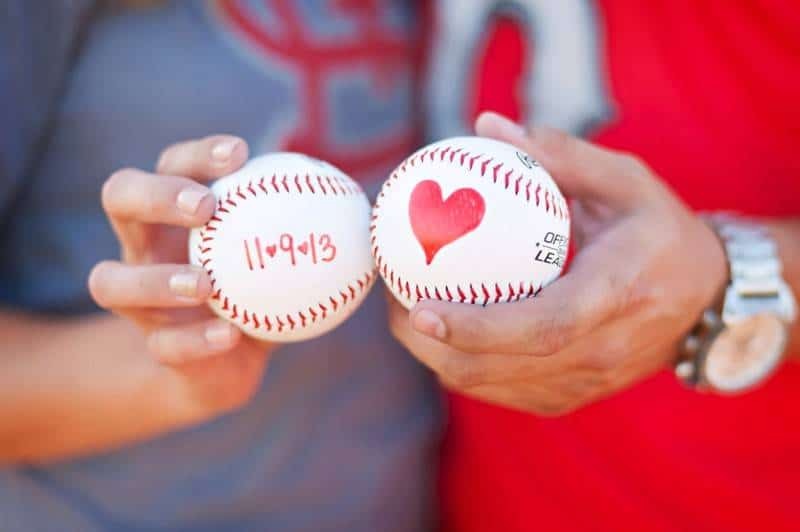 These two really hit it off during strike one, you can tell just by looking at these photos that they definitely hit home run. 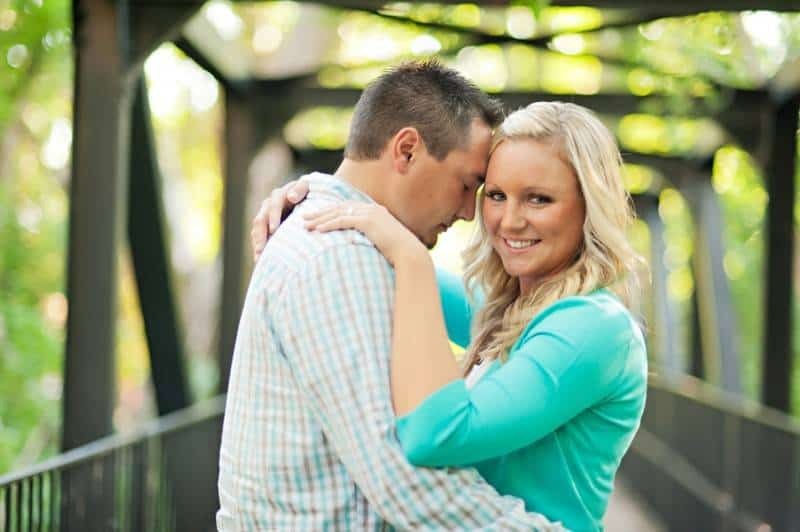 Congratulations again Brittany & Derek!